Oh your card is so beautiful with only white and gold. Just stunning CAS card! That gold embossing makes those Inky Flowers sparkle! Lovely card. Glad you're feeling up to making a card -- it's lovely. Such an elegant creation, Lea! Beautiful card, I love the gold. Ohhhhh how stunning! Beautiful gold! Wow, so beautiful. Love it. and a minimal amount of stamping. the layering is a good idea. Beautiful card. So happy that you are doing some crafting. Big Hugs! Lea, I love the simplicity and pretty gold embossing. It's beautiful! Hugs and smiles. The gold embossing is beautiful! This pretty gold embossing is the perfect touch! Absolutely beautiful sympathy card! The gold embossing is striking! 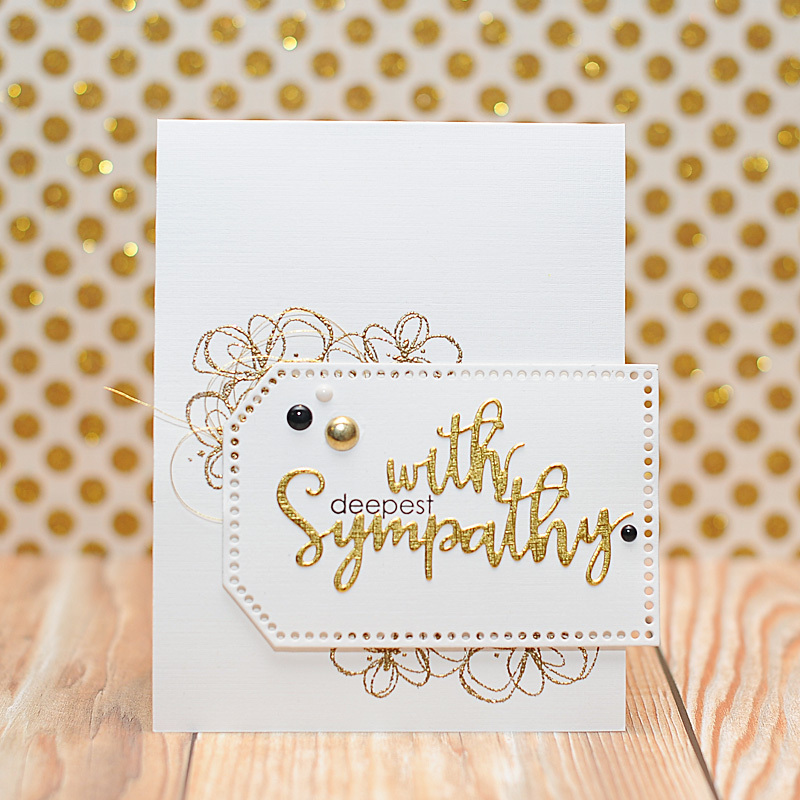 Great use of gold embossing in sympathy card! I love all of the gold embossing. I love to see your creations again. This card is so pretty, the gold and the CAS style are beautiful for these cards. The gold embossing is gorgeous. WOW! Your card is very elegant and classy. I really love this Inky Flowers stamp set. It is my favourite among all the amazing new products in this release. I am so happy you are easing back into this. I have missed your beautiful creations. I hope creating is therapeutic for you. I love this card. such a pretty sympathy card with the gold and white. Just lovely. DELIGHTFUL card Lea, your design is SO ELEGANT - LOVE IT ALL!!! Your combination of stamped & glorious golden die cut sentiment is SO BEAUTIFUL!!! Glad to see you creating again. This is so lovely and elegant.